Main streaming and integration are embedded in the philosophy of North American public education systems. Inclusion is recognized as a right, and policies and practices are evolving to reflect this. In the U.S.A., inclusion is a civil right guaranteed under federal law. 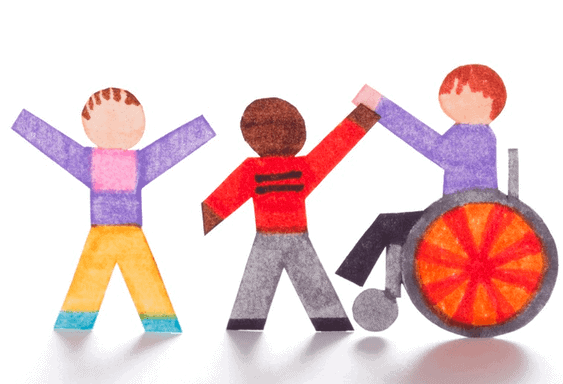 For more than a decade, the integration of special needs children (generally defined as students with learning disabilities, mental and physical challenges, behavioral disorders and/or gifts) has concentrated on the practical aspects of inclusion. Accountability has generally been defined in terms of physical and social accommodation at the school within a classroom of their peers. Concerns around the impact of inclusion on staff and other students and escalating costs are raising questions about the efficiency of an inclusive model. More lately, parents of special needs children are advocating for their rights in terms of academic achievement. British Columbia’s Human Rights Tribunal has recently agreed to hear the case of a learning disabled student who failed to learn to read in the public education system. ♦ What are our learning expectations for special needs students, and how do we clearly demonstrate they are achieved? ♦ If targeted funding is divorced from evaluation, is learning being given priority? How do we ensure both efficiency and effectiveness goals are met? Parents and public are asking for, and starting to receive, more information about how the system is meeting the learning needs of students. They are generally not aware that learning outcomes of special needs students are not included in system performance reporting. B.C.’s Foundation Skills Assessment data excludes a significant percentage of results in its public reports. Despite 1997 amendments to the IDEA (Individuals with Disabilities Act) requiring it, a majority of disabled students in the USA are not participating in state assessment testing. Funding continues to dominate much of the debate. With increased identification, the percentage of special needs students is rising, and there is a lack of accurate data about program costs. School districts typically overspend special education budgets, often by 100% or more. Allocation of resources at the school level can be even more difficult to determine. Such questions emphasize the need to expand the data upon which policy decisions are based. If policy makers and educators do not have access to assessment information about special needs students, they lack the information required to ensure that programs are effective. ♦ Pre-service training that prepares future teachers with a range of teaching strategies to meet the diverse needs of an inclusive classroom; situation-specific training for classroom teachers when special needs children are enrolled. ♦ Placing special education assistants on the basis of suitability and training before seniority. Consider reassigning some of this support from individual children to support for the whole classroom. ♦ Consistent accountability for learning at the individual and program level: advance decisions about achievement goals, what progress information will be gathered, who will receive the information, and what will happen if goals are not met. ♦ Rather than reducing expectations for children with challenges, expand the breadth and depth of equivalent outcomes for promotion and graduation requirements. ♦ Integrated service agreements with other agencies involved with children, clearly defining areas of responsibility and funding. ♦ Class size flexibility and technology solutions to maximize learning in challenging subjects. ♦ Options: inclusion is a philosophical direction that may not always meet the needs of every special needs child. In recognizing this, Alberta allows parents of some special needs children a full voucher to enroll in a more suitable private school.